A: Users may download iOS and Android apps or surf the Yintran website. We are gaining users everyday. Q: Yintran's fintech service appears to be only currently available in Hong Kong. 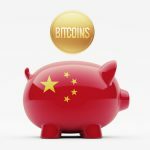 Will it expand to Macau or Mainland China soon? A: Yintran offers service to anyone or any business that has a bank account in Hong Kong. 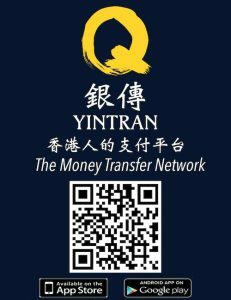 You can be a company anywhere in the world, and if you have a bank account in Hong Kong, Yintran's money transfer service is available to you. Q: Your company is based in Hong Kong. What are the strengths that Yintran takes from being in Hong Kong, and what are the constraints and downsides of operating in Hong Kong? A: Hong Kong has one of the best financial infrastructure and regulatory frameworks in the world. Being in Hong Kong, we are able to work with some of the best people in the world from the financial industry. The obvious constraints is the high cost of living and operating in Hong Kong. Q: Would Yintran ever be used for the transfer of cryptocurrency like Bitcoin? Q: How do you ensure user data confidentiality and security on the Yintran service? A: Yintran money transfer network is connected to the bank network through highest level available secured data encryption to protect users against any unauthorized money transfer and access to the personal information. Transfer risk is managed by user's daily transfer limit. Yintran manages the master daily transfer limit. User account balance is in a segregated bank account. Yintran will hold all the user's account balances in a legally segregated bank account in one of the largest banks in Hong Kong.